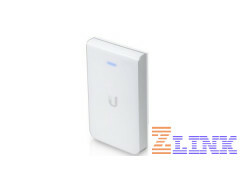 Ubiquity UniFi® is the type of revolutionary Wi-Fi system that makes you say "Wow!!". It combines enterprise performance, unlimited scalability, and a central management controller. Making sure you can update your status anywhere. UniFi 802.11AC Dual-Radio Access Points (APs) are easy to use and easy to install and include mounting hardware. "Easily accessible through any standard web browser, the UniFi Controller software is a powerful software engine ideal for high-density client deployments requiring low latency and high uptime performance.". The UniFi Controller software makes it easy for administrators to manage multiple sites. he UniFi Controller can manage flexible configurations of large deployments. Create multiple WLAN groups and assign them to an AP's radio.